The African buffalo forms part of the Big 5 animal group, an old hunter’s term given to the 5 most dangerous animals to hunt in Africa. These majestic animals reach shoulder heights of up to 1.5m and weigh up to 750kg and are primarily grazers (grass eaters). The breeding season generally takes place during the months of March through to May and the gestation period is roughly 11 months where the female will give birth to a single calf. As the sun started to rise and the guests had finished their pre-safari coffee, we headed out for our morning safari in search of some amazing wildlife. 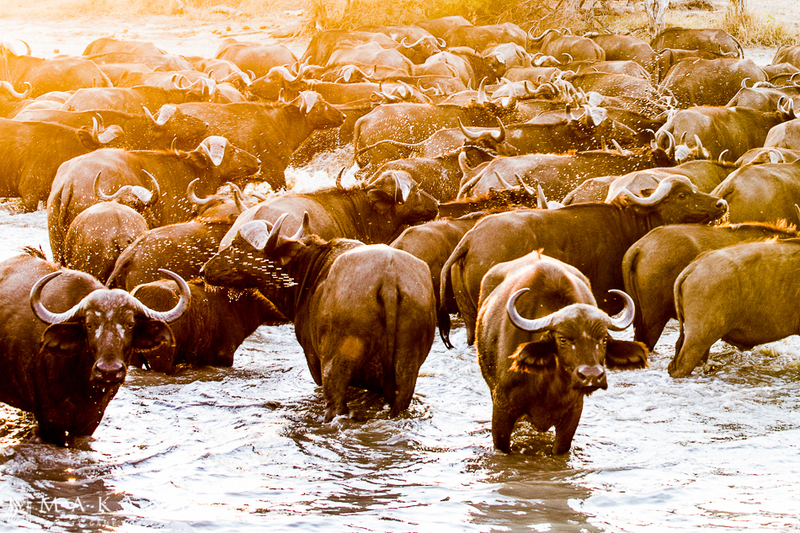 After tracking their footprints we came across a beautiful herd of buffalo. Upon further inspection, we noticed a baby calf that had just been born moments before our arrival. Guests were left speechless as we spent some time watching this adorable calf trying to find its feet. Watch the adorable footage our GM Rico took of this buffalo calf trying to stand for the first time.